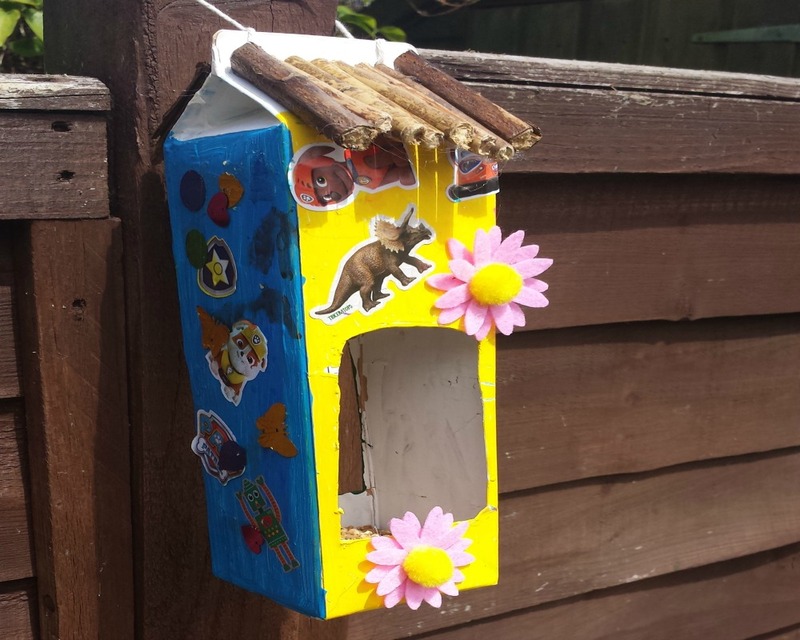 Recently we have been making lots of crafts to make our garden more environmentally friendly, and encourage more animals & insects to visit! We created a bug hotel, a bee hotel, now we want to invite some birds into our garden! 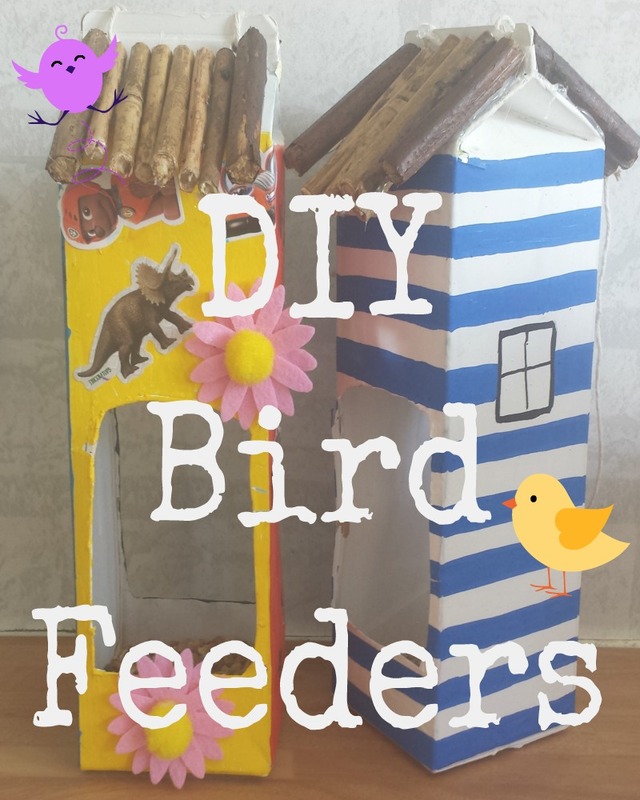 What better way than to make your own bird feeders! 1. Cut a hole in your juice carton to make a doorway shape either side of the carton. Cut out the cap as neatly as you can. 2. Clean out the carton and leave to dry. 3. Paint the carton a first coat of white paint. Then paint over the white in colours or patterns that you fancy! 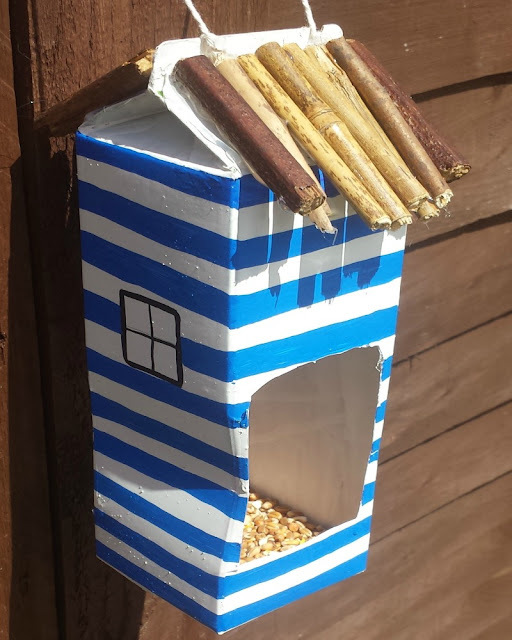 The first bird feeder we made I decorated with blue stripes and some windows! 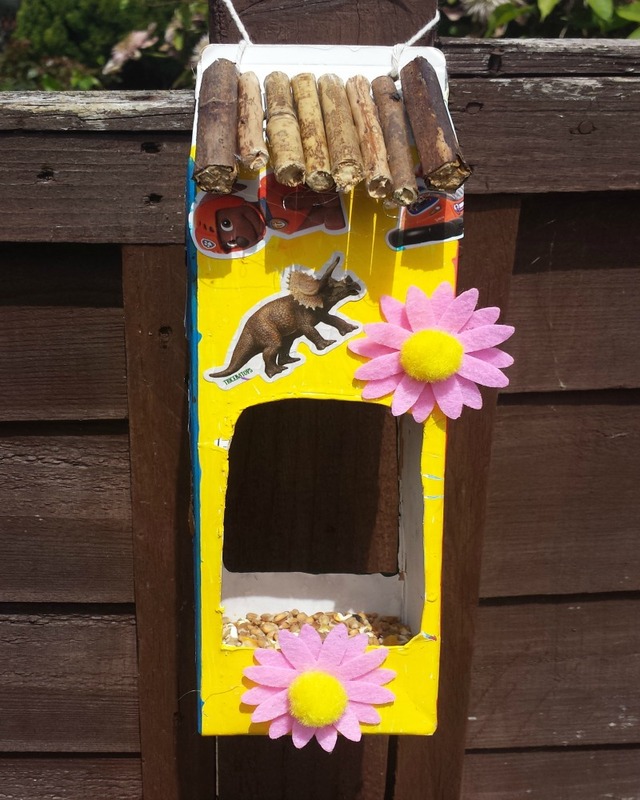 The second feeder we made we painted in 4 different bright colours! 4. Then you can let your little add some fun decorations! Stickers, pom poms, flowers, whatever they fancy. 5. Hole punch two holes in the top of the carton and tie the two ends of a piece of twine in each hole. 6. Cut to size and hot glue some sticks or lolly sticks to the top of the carton. 7. Hang up somewhere the birdies can reach and fill up the bottom with bird seed! What do you think? 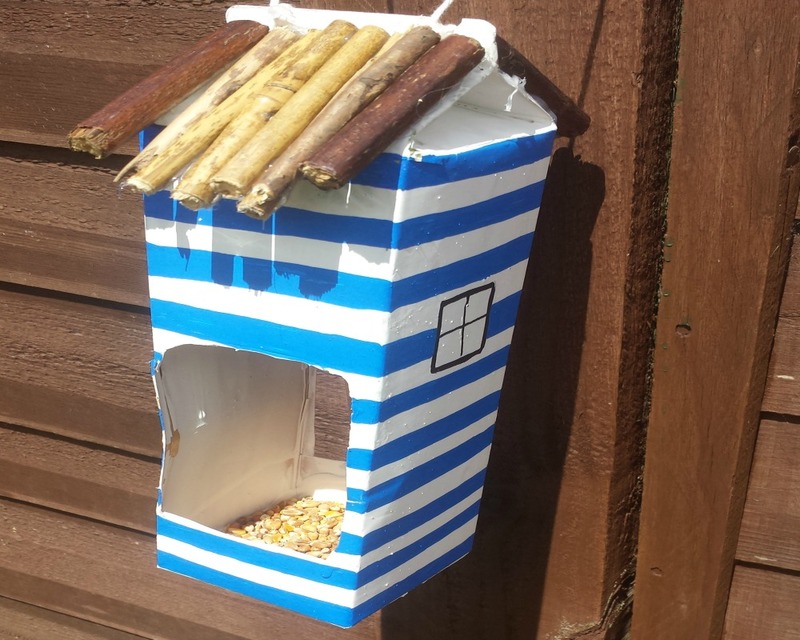 Will you be making a bird feeder this summer?